CITGO and Rebuilding Together Houston partner to repair up to 300 homes in Houston’s Independence Heights community. CITGO donates to Rebuilding Together Houston to support Houston’s Independence Heights community. CITGO and Rebuilding Together Houston help Houston’s Independence Heights community recover in the wake of Hurricane Harvey, Irma and Maria. 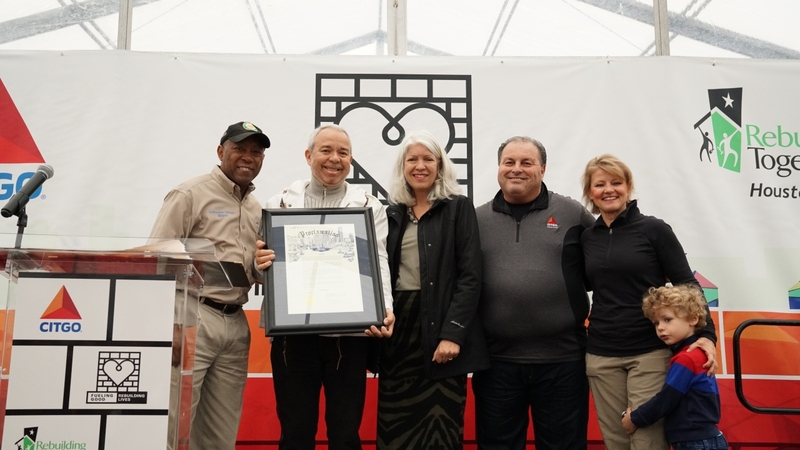 HOUSTON, January 27, 2018 /3BL Media/ - CITGO Petroleum Corporation is donating up to $6 Million to Rebuilding Together Houston with an immediate goal of repairing up to 300 homes in Houston’s Independence Heights community over the next three years, in addition to longer-term recovery efforts. The partnership is part of the CITGO Fueling Good. Rebuilding Lives. initiative, which is dedicated to recovery in the wake of Hurricanes Harvey, Irma and Maria. The Independence Heights "Home After Harvey” recovery program will evaluate affected homes with a goal of transforming 100 houses per year. CITGO volunteers will work with Rebuilding Together Houston to clean up these properties and ensure they are safe havens for families. The support from CITGO will also allow Rebuilding Together Houston to engage other community partners and volunteers to help in the long-term recovery efforts. Christine Holland, CEO of Rebuilding Together Houston said the generous donation from CITGO will make a meaningful difference in the lives of hundreds of Houston’s vulnerable neighbors — “those without the means, the resources, or the network to rebuild after Hurricane Harvey,” she said. “Together, we will ensure that residents can safely return to their homes as soon as possible,” Holland said. The donation to Rebuilding Together Houston is part of a larger CITGO effort to assist with hurricane relief and rebuilding efforts. CITGO customers participated by contributing 1 cent from each gallon of fuel purchased – up to $8 Million – and CITGO donated an additional $3 Million to the Greater Houston Community Foundation plus more than 100 volunteer hours in Houston and Corpus Christi, Texas. Rebuilding Together Houston impacts the lives of hundreds of families across Harris County annually by providing free home repairs for low-income elderly, U.S. Military Veterans, and people with disabilities. Since 1982, we have reinvested more than $120 million in affordable housing throughout Harris County. 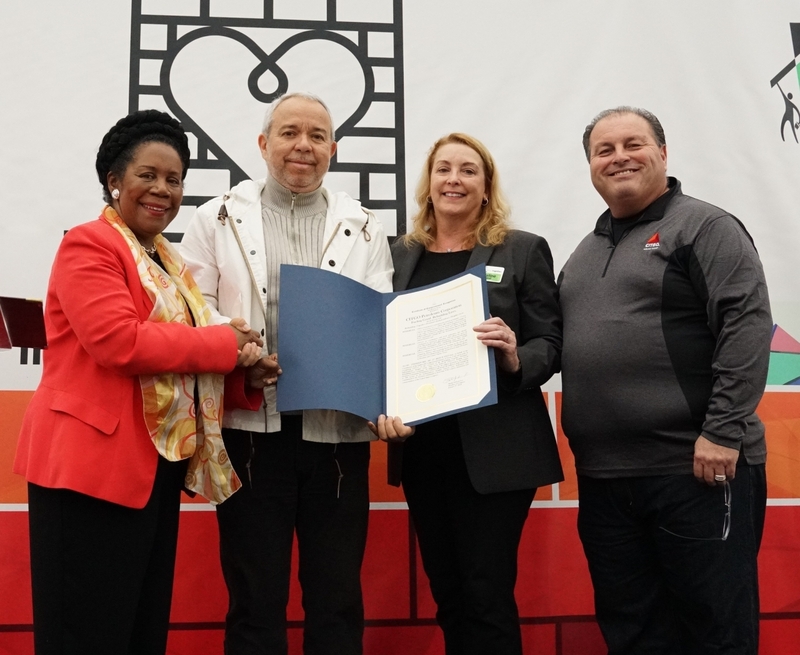 Through the work of caring volunteers and licensed contractors, and with the support of individual donors, local businesses and corporate partners, Rebuilding Together Houston revitalizes Houston communities, providing safe and healthy housing for neighbors in need.